I have one, you have one. Take away a letter and a bit remains. If you remove the second, bit still remains. After much trying, you might be able to remove the first one also, but it remains. What's the word? The bartender gave him the drink. Then the Budweiser President orders, "The King Of Beers -- Budweiser." The bartender proceeds with the order. The Amstel President walks in and orders "The Finest Beer ever." The bartender gives him an Amstel. 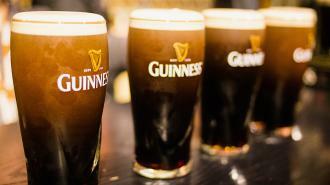 Then the Guinness President says, "I'll have a coke please." The bartender is taken aback by this but gives the coke to him anyway. All the Presidents looked over at him and said, "Why have you ordered a coke?" Find the country and its capital city, using the move of a chess knight. First letter is E. Length of words in solution: 10,6,6. NUMBERMANIA: Calculate the number 3315 using numbers [8, 8, 7, 3, 98, 572] and basic arithmetic operations (+, -, *, /). Each of the numbers can be used only once.